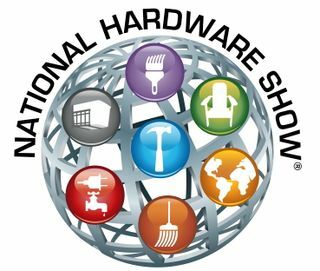 Bell Aquaculture, the nation's largest yellow perch (Perca flavescens) farm and pioneer in sustainable fish farming operations, is launching its OMRI Listed 'Fish Rich 2-2-2 Organic Fertilizer' and 'Fish Rich+ 6-3-3 Fertilizer' products at the 2012 National Hardware Show in Las Vegas, May 1-3. Chemical-free, Fish Rich products are made from Yellow Perch and used for vibrant growth of plants, flowers and vegetables. Bell Aquaculture, the nation's largest yellow perch (Perca flavescens) farm and pioneer in sustainable fish farming operations, is formally launching its new OMRI Listed 'Fish Rich Organic 2-2-2 Fertilizer' and 'Fish Rich+ 6-3-3 Fertilizer' products at the 2012 National Hardware Show in Las Vegas, May 1-3, Booth #8951 in the Central Hall's Lawn & Garden/Outdoor Living Pavilion for new exhibitors. The announcement is made by Norman McCowan, president of Bell Aquaculture, who says, "Fish have been used as soil fertilizer since the Native Americans first began farming our nearby land centuries ago. Our natural plant fertilizers, marketed as the Fish Rich brand, are made from the remains of the Bell Perch processed at our aquaculture facility in Indiana." 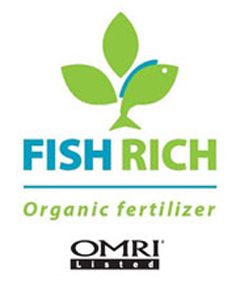 Fish Rich 2-2-2 (Organic) - Fish Rich is OMRI Listed and is allowed for use in organic crop production under the USDA National Organic Program rules. It is completely garden and human safe. Fish Rich+ 6-3-3 - Fish Rich+ is a natural based fertilizer, just “plussed up” with some nitrogen and potassium. This formula will offer your plants faster greening, swifter root establishment and more brilliant, longer lasting blooms. Nitrogen – to promote green leaves, and quicker growth response. Phosphorous – for root growth, disease resistance, promoting seed and fruit growth, and for blooming and flowering. Potassium – to increase root growth, and offer disease and drought resistance. Fish Rich and Fish Rich+ are also a good source of calcium — which plants need for cell wall development and growth. Pathogens attack weak cell walls to invade a plant, and a stronger cell wall structure will play a big part in avoiding this potential problem. Further, Fish Rich products are also a good source of calcium. "Calcium is essential for all plants and their maturity. Plants need calcium for cell wall development and growth. Pathogens attack weak cell walls to invade a plant, and a stronger cell wall structure will play a big part in avoiding this potential problem," McCowan explains. Fish Rich products are made on-site at Bell Aquaculture's Redkey, IN, processing facility. The fertilizer building houses a 5,000 square foot production floor and a state-of-the-art lab set-up to handle special orders for custom blends of fertilizer as well. "Our fertilizer lab and production facility can specially produce most any fertilizer design a customer deems necessary -- any grade or level," McCowan said. The Bell Aquaculture production facility sits on family-owned land in Albany, Indiana, comprising the nation’s largest yellow perch farm. The company headquarters are 6 miles north in Redkey, Indiana, where the Yellow Perch "leftovers" are processed at the new fertilizer plant. "Not only is our business a sustainable way to feed people, we are responsible with every aspect of our operation. We're committed to the best technology possible, working with industry experts, initiating research and development, and employing licensed technology from a major university to grow our fish. We have become a true vertically integrated facility: nurturing our fish from egg to full-grown fish right here at the farm," McCowan explains, "And because we have our own broodstock, the genetic health of the fish can be protected before new fish are born. Plus, our fish are grown indoors in recirculating aquaculture systems, minimizing danger from outside contamination."